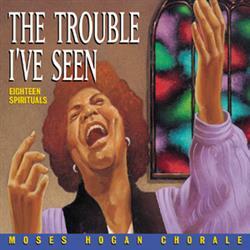 This exceptional music CD includes 18 spirituals bound to rouse the spirit. Includes "Wade in de Water," "Soon-a Will Be Done," "Swing Low, Sweet Chariot," and other favorites. Performed by the Moses Hogan Chorale. • Ain't Dat Good News? • Didn't My Lord Deliver Daniel?